Heading into week 9 and seeing some good trichrome production so far. I’ve upped my nutes to 2.5ml/L and no issues with pheno #1 after the major flush. 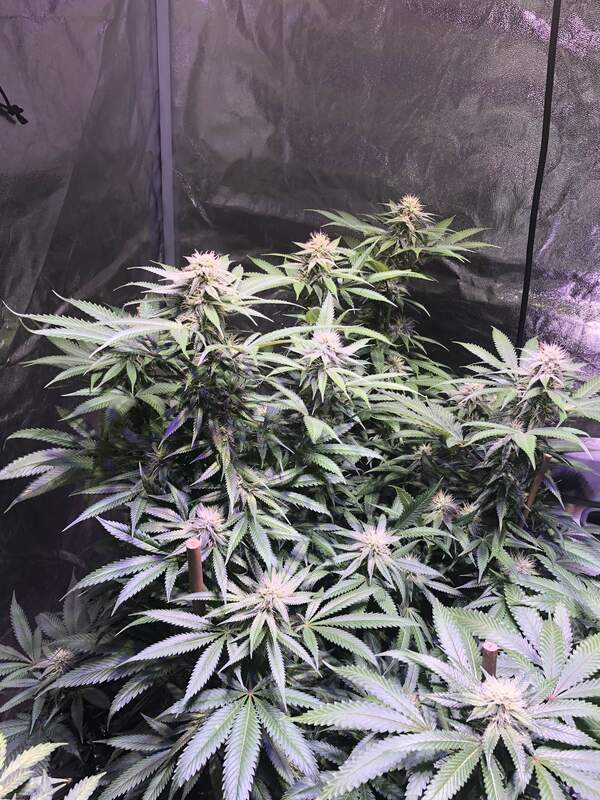 Not much smell in the tent yet but I’m assuming it’s going to change drastically over the next 2 weeks. Can’t wait to see how this run goes. Only about a month or more left till I chop her down. So trichrome production has doubled over the last few days and pheno #1 has really doubled in size due to a heavy feed and she’s spread out more with the help of tying her branches to bamboo stakes. Also starting to see some nice stacking on main colas and a little more thickness. No increase in terpene smell yet but I’m expecting it to really improve over the next 2 weeks. Hey guys had a quick question for you. I’m giving my plants about 500mls of water every 2-3 days and water when dry. I am currently growing in promix and I’m already seeing a few roots near the base of the plant. Is 500mls of water enough for a 1 gallon pot? Hey guys hope one of you promix medium experts can help me out here. I was initially suffering from clawing due to watering at 6.3ph. Going to 6.5ph fixed clawing on pheno #2 but pheno #1 has not recovered. I tried not feeding for 2 weeks and still have issues. 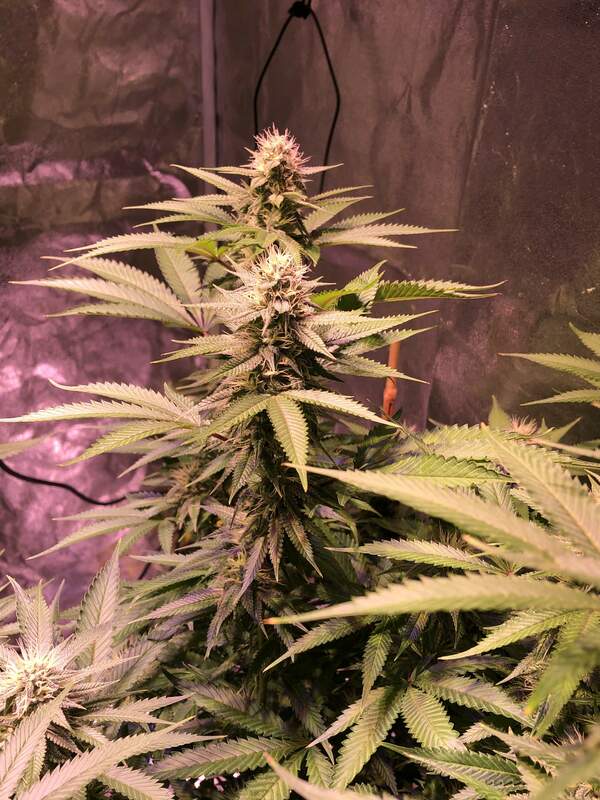 So I am currently on day 28 of flower and seeing no new signs of deficiencies. I’m running the Sensi bloom schedule at half strength 800ppm. Should I up my feed if my plants aren’t showing signs of deficiencies or will not do anything and just cause salt buildup? You'r half way and your Ec is 1.7 so I would push a bit with some more PK but really carefully to avoid over feeding issue. In soil I found out that 1.8 Ec was the average value in mid/late flowering , no need to get higher but some plants can takes higher level like 2.0 or 2.2 for some specific strains but not every strains likes heavy feeding.